Set in a splendid bay overlooked and sheltered, almost protected, by two impressive promontories: to the east is Capo Sant'Elia, dominated by an ancient lighthouse, to the west is the fascinating Sella del Diavolo (Devil's Saddle), named for its peculiar shape which legend has it was the place where Lucifer landed when he was thrown out of heaven. 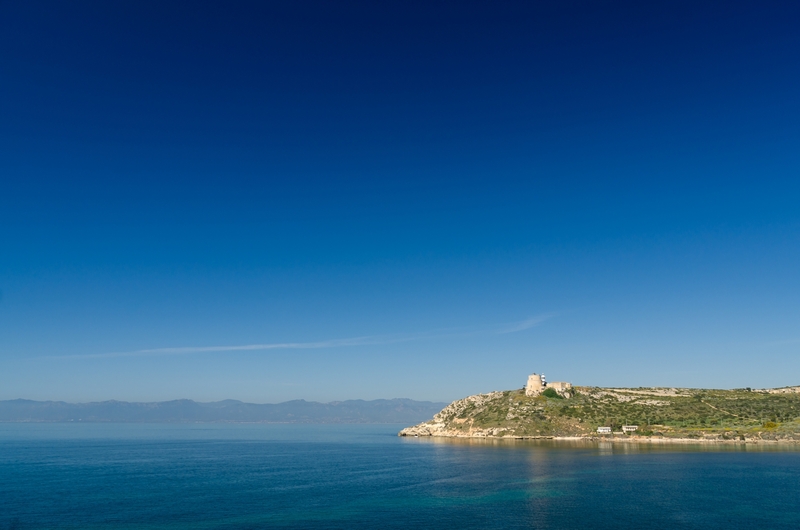 Calamosca beach, only four kilometres from the centre of Cagliari, is located along the long, wide coastline of Poetto. Its transparent waters gleam with emerald and azure tones, while the sandy beach and smooth pebbles gently slopes to the sea, making it perfect for children and particularly popular with underwater fishing and diving enthusiasts. There is plenty of parking space, a bar-kiosque and beach equipment to hire. A small path leads from the beach up to a panoramic viewpoint over the Golfo degli Angeli. 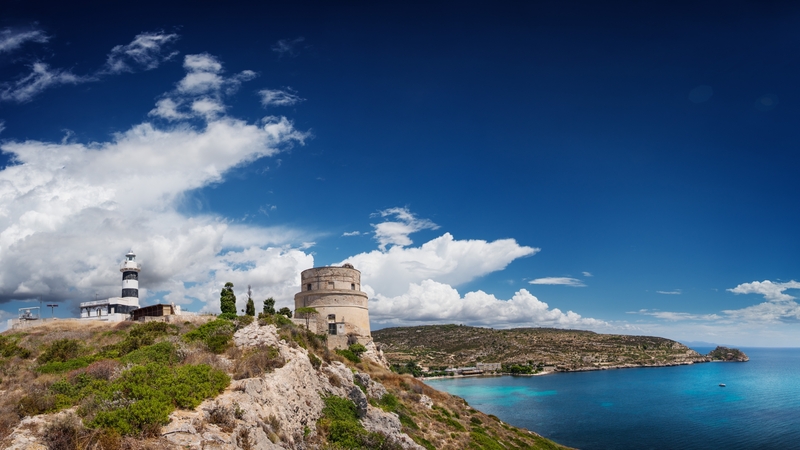 You'll need to climb up to the promontory to the foot of the Calamosca watchtower, built by the Spanish in the 17th century. 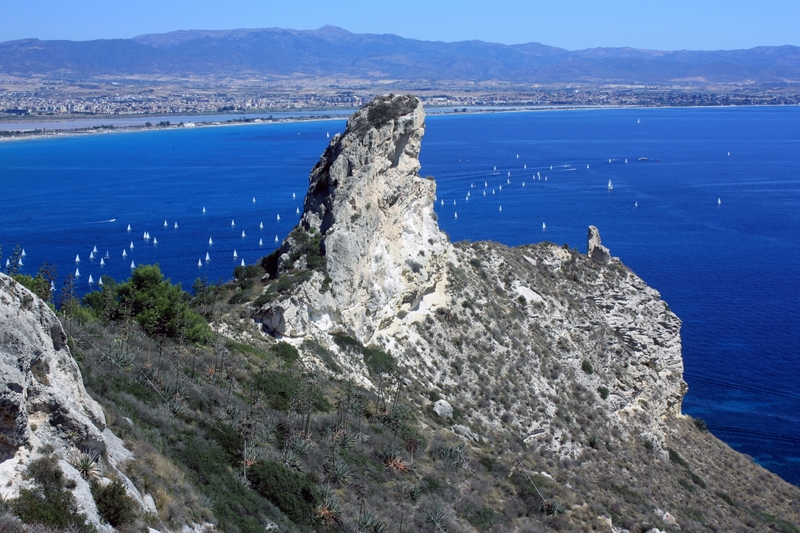 We recommend taking hiking shoes and equipment and following the path to the left of the cliffs, towards the Sella del Diavolo: along the way, you can admire numerous small coves before arriving in another miniature paradise with a rocky seabed, Cala Fighera. The path will let you explore all around the "Sella" and the fortifications built on the hills: an amazing experience after sunset, together with a specialised guide. 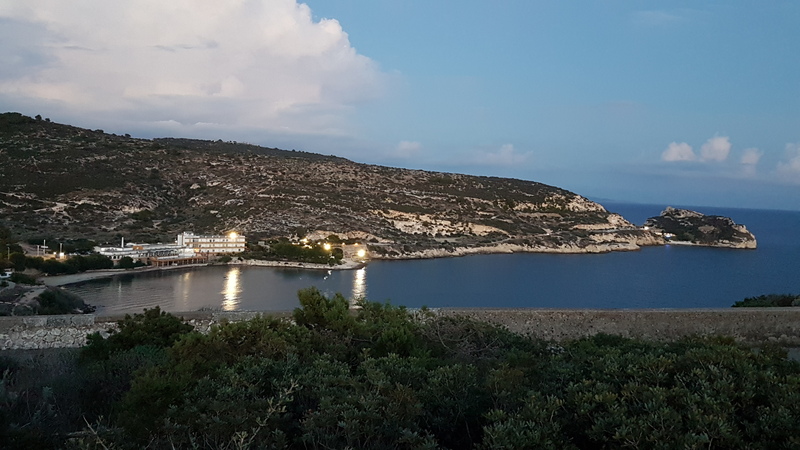 In Calamosca bay you'll find open-air bars and nightclubs, perfect for summer fun, as well as restaurants where you can try speciality seafood. 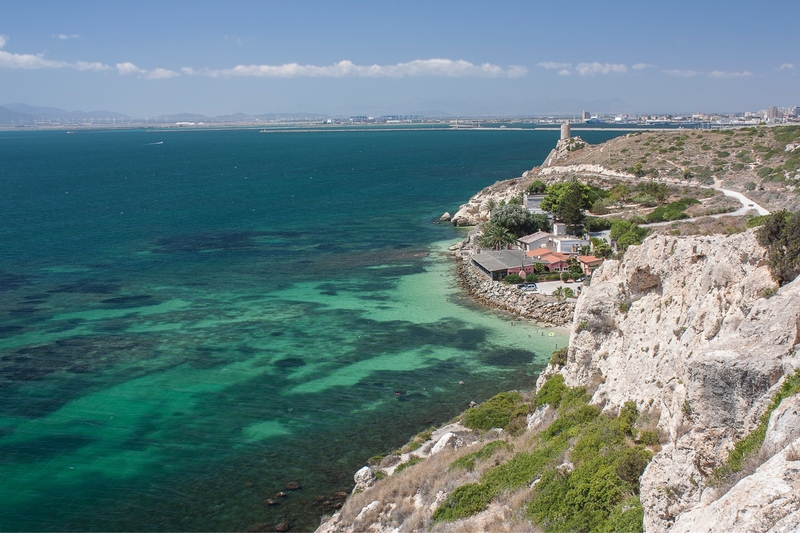 The vicinity to Cagliari's historical centre with its dozens of cultural attractions and monuments will make you appreciate this wonderful cove even more. What's more, don't miss the nightlife at the kiosques in Poetto, one of Europe's largest town beaches, and only a short walk away. 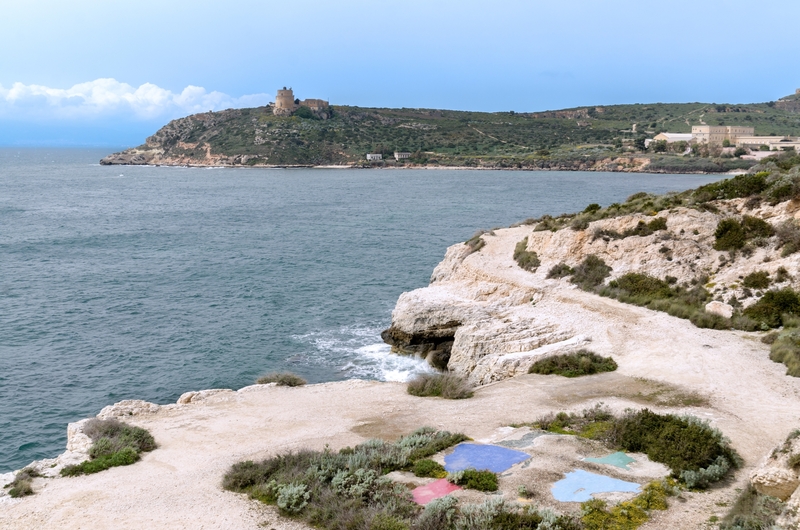 The beach is easily reached from the city of Cagliari, following the signposts.